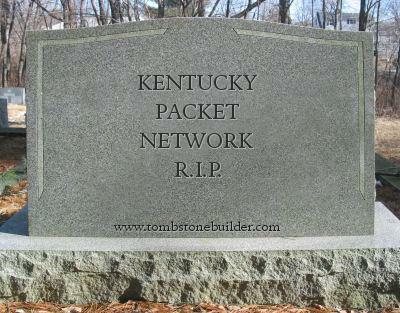 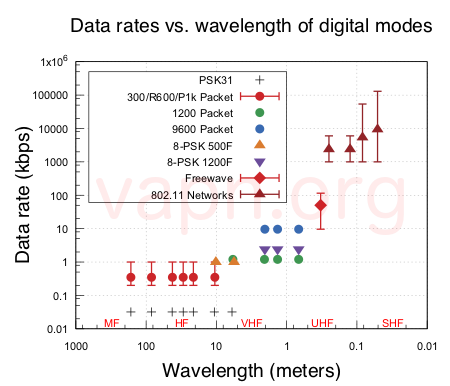 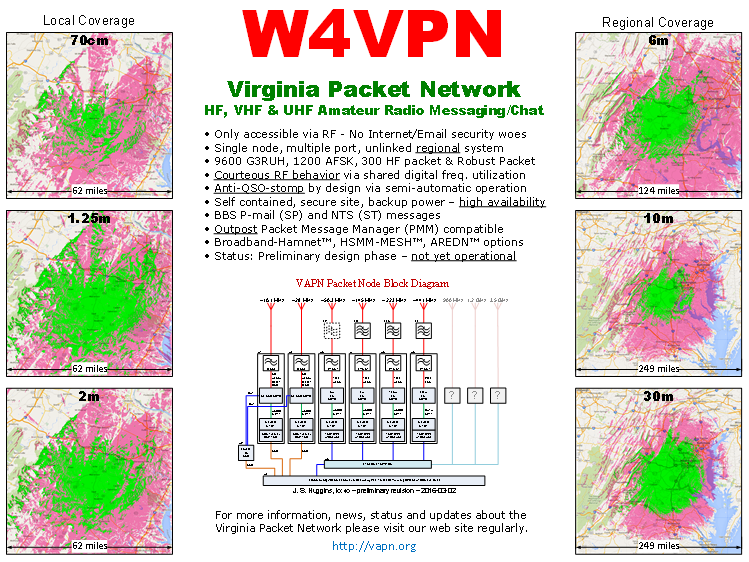 VAPN volunteers worked through set up issues and parameter adjustments to arrive at a nice Eureka moment in the progress towards a Virginia Packet Network roll out. 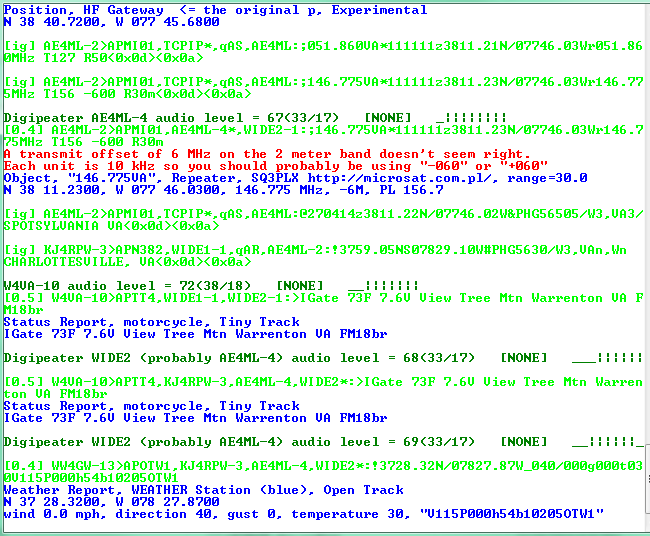 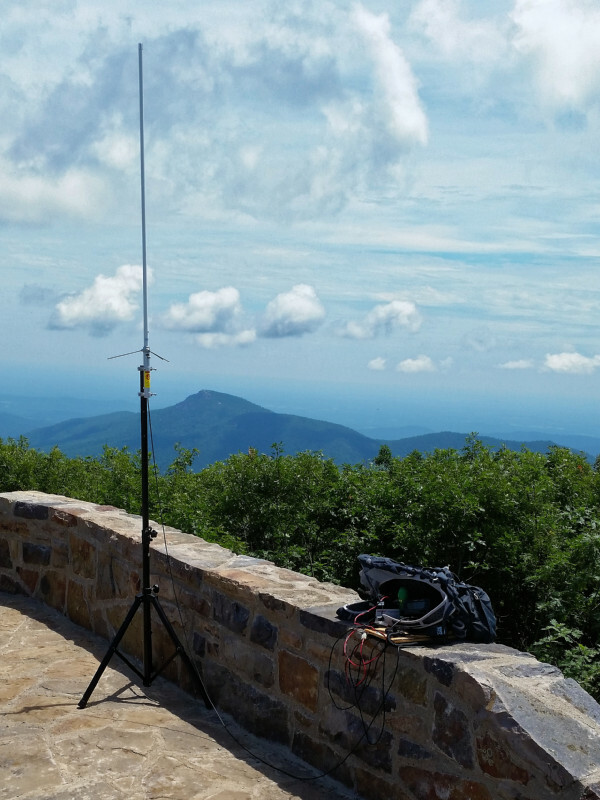 The organizers of the Appalachian Trail Golden Packet exercise switched from 1200 to 9600 bps in their Kenwood APRS gear. 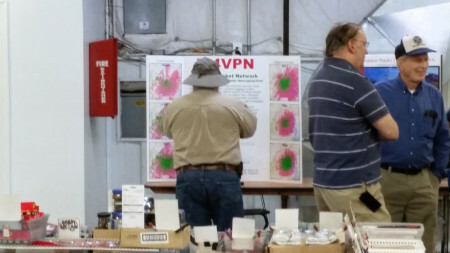 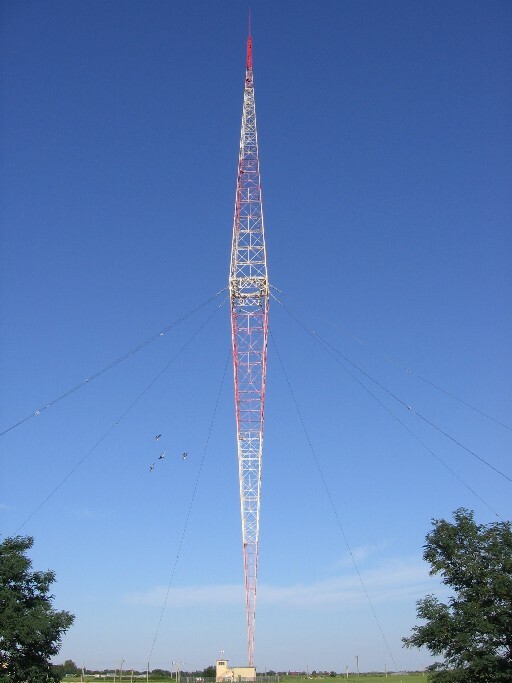 Several local hams have taken the step to organize the VAPN as an amateur radio club to better organize the VAPN goals. 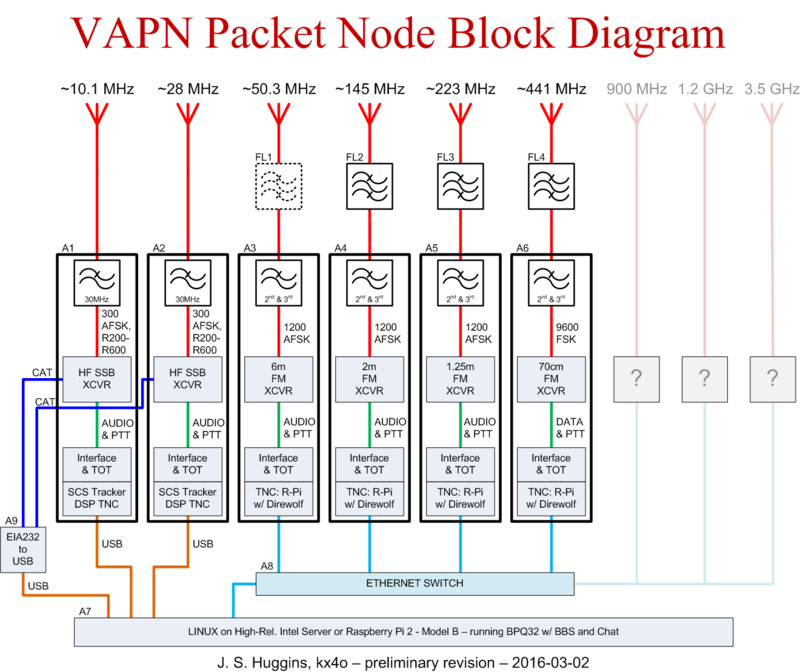 Is packet operation on 160m an idea worth testing? 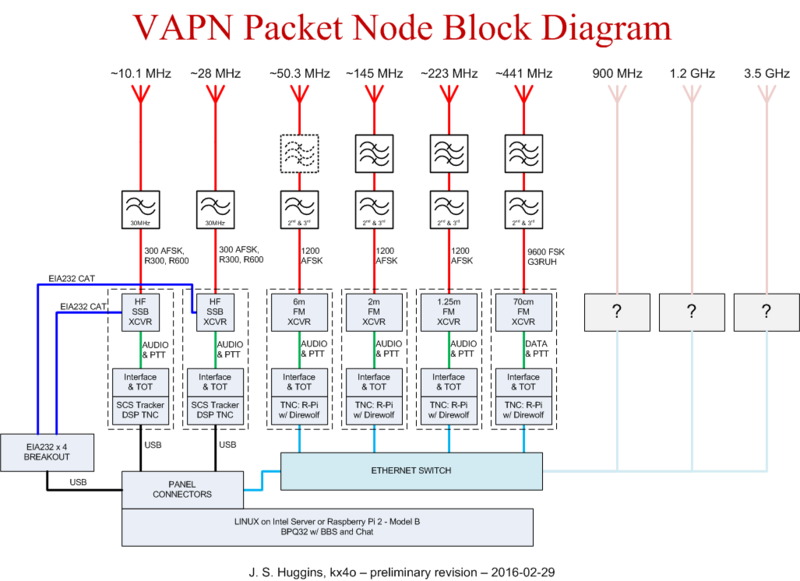 March 2, 2016 revision of the VAPN high level block diagram. 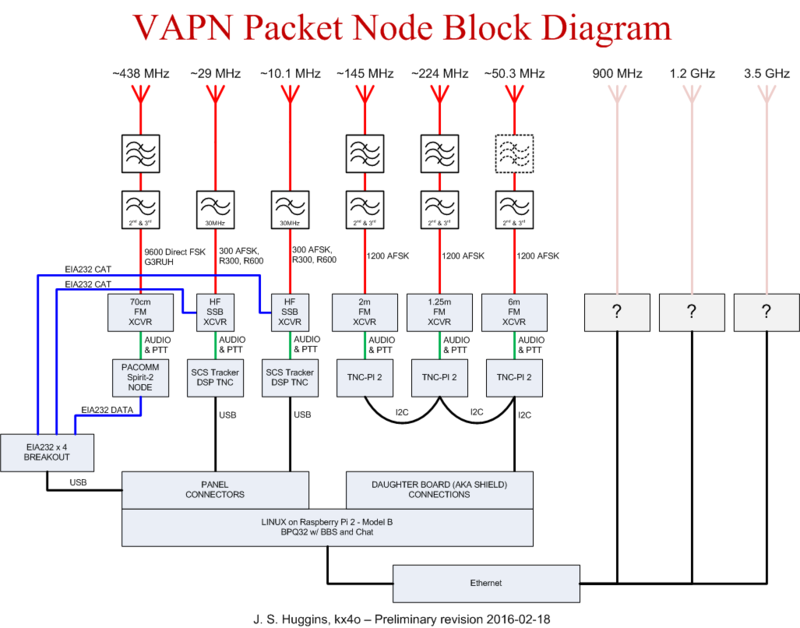 More details added to the VAPN block diagram. 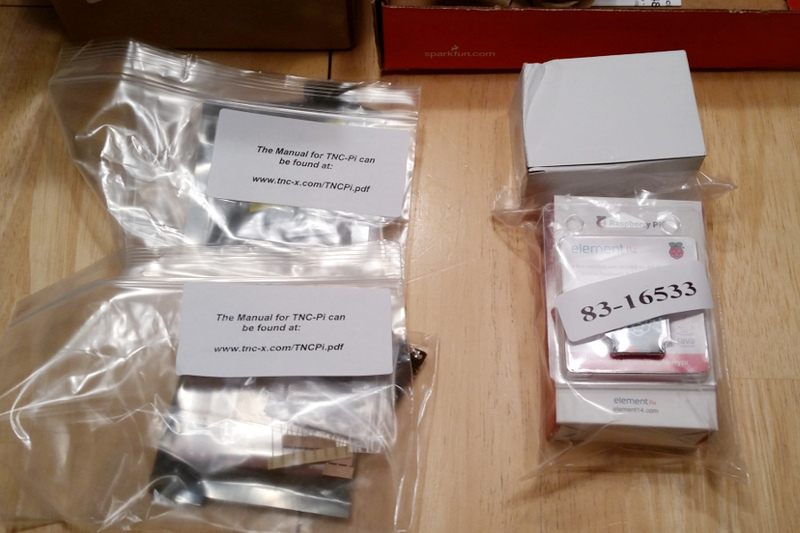 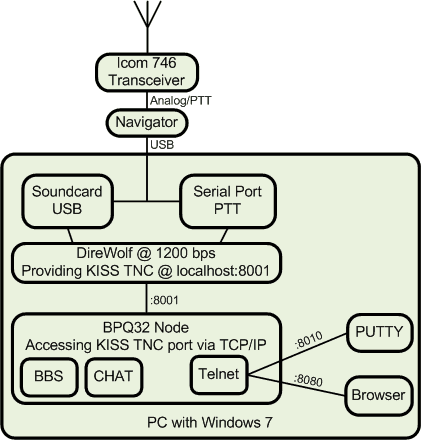 Bought a Raspberry Pi and two TNC-PI TNCs for consideration as a hilltop remote node.